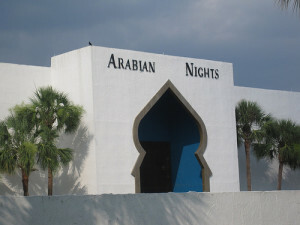 The Arabian Nights dinner attraction announced it will be closed permanently after New Year’s Day. This will be the end of the 15-year long history of the dinner show with performing horses and a royal story line. Owner Mark Miller opened the dinner theater’s doors on Feb, 29, 1988. Over the years Arabian Nights has presented 10,000 performances for 10 million visitors. This August the attraction won the 2013 Orlando Sentinel Award for Best Dinner Show. Set in a horseshoe-shaped arena with a dirt floor, the Arabian Nights show spotlights Al-Marah Arabian horses with acrobatic riders. Customers, who pay $66.99 for general admission, eat dinner in stands surrounding the action. The show was freshened with new acts and narrative during the summer and dubbed “The Royal Celebration,” a story about a romantic merger of two Bedouin kingdoms. But despite the changes, owner Mark Miller said, the numbers were no longer adding up. Ticket wholesalers, which handle the bulk of Arabian Nights’ sales, would no longer pay enough for the blocks of seats they purchased, Miller said. Miller, who grew up in a family that bred Arabian horses, said the company’s 40 horses will move to an 80-acre farm he has purchased. He also said he will explore other uses for the Arabian Nights building and will consider selling the land, which is off West U.S. Highway 192. 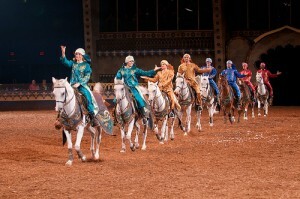 The Arabian Night Christmas Show will run from 1st to 31 December, giving people one las chance to enjoy the attraction. “We know a lot of Central Florida Residents will want to see the show before we close, and we are offering them half price admission,” Miller said. The 185,000 square foot terminal at Port Canaveral will be the first modern one on the south side of the port’s ship channel. 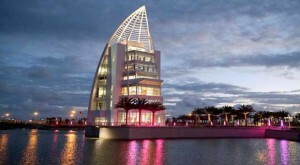 It will be adjacent to the port’s newly opened Exploration Tower, as well as the shops and restaurants on that side of the port. “Cruise visitors will be able to walk outside the terminal to enjoy port destination options or depart from the terminal and Exploration Tower to enjoy area excursions,” said John Walsh, the port’s director. Announcements regarding tenants for the new $85 million terminal, which comes with its own 1,000-space parking garage, are expected soon, Walsh added. The port also added a terminal in 2012 at a cost of $ 65 million, bringing the total number of berths up to seven. We are planning four new terminals during the next 10-15 years. One is 2014-2015, one will replace [terminals 3 and 4] in 2016-2017 and then two added terminals likely in 2021 and 2025 based on current trends. We also will have terminal expansion coming for [cruise terminals 5 and 10].” Walsh said. 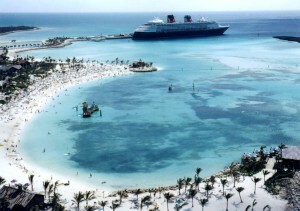 The 185,000 square foot terminal at Port Canaveral will be the first modern one on the south side of the port’s ship channel. It will be adjacent to the port’s newly opened Exploration Tower, as well as the shops and restaurants on that side of the port. “Cruise visitors will be able to walk outside the terminal to enjoy port destination options or depart from the terminal and Exploration Tower to enjoy area excursions,” said John Walsh, the port’s director. “The new cruise terminal complex will handle the largest cruise ships currently sailing as well as the 6,000-passenger vessels in design,” reads a press release from the port. This words started speculations. The only vessel of this class „currently in design” is the unnamed third Oasis-class ship of Royal Caribbean. Richard Fain, chairman and CEO of parent company Royal Caribbean Cruises Ltd says we shouldn’t read too much into that information. „The same reference was made when the new Kai Tak passenger terminal was opened in Hong Kong harbor last year.” he commented. 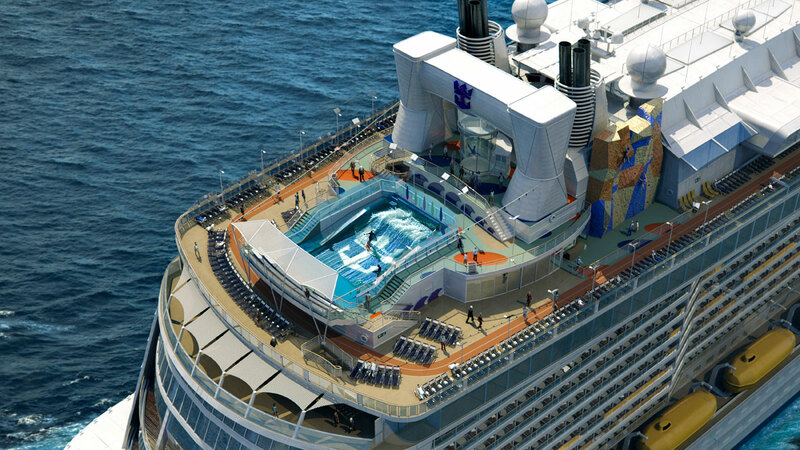 Another possibility for the new terminal is Anthem of the Seas – the second of three 167,800-ton, 4,180-passenger next generation Royal Caribbean cruise ships to debut, will launch spring 2015 with 2,090 cabins. Royal is expected soon to announce the home port and itineraries for the Anthem. 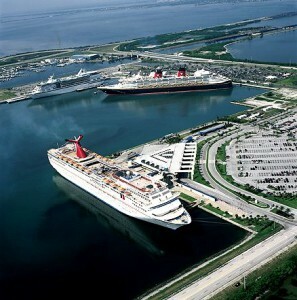 One thing is for sure – Port Canaveral keeps growing and getting better. The Exploration tower is one of the main attractions in the Saturday’s celebration, too. It will be open to the public for a reduced admission price of $3 with the donation of a non-perishable food item for the Central Brevard Sharing Center. The celebration, starting at 11 p. m. will also include a Classic Cars Show. Kids Zone, Live Music and a Dance Exhibition. A parade with all the participants will start at 3 p. m. The event will take place in The Cove around Exploration Tower between Mullet Rd. and Glenn Cheek Dr.